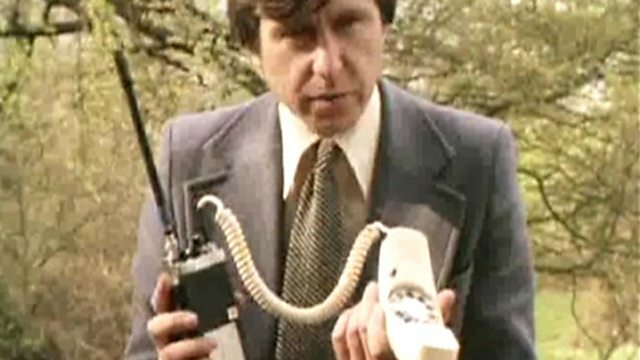 It's 1979, and time for the telephone to go mobile. In this report from a longer programme, Michael Rodd examines a British prototype for a cordless telephone that allows the user to make calls from anywhere. Also included at the end of this item is a rather nice out-take as Rodd also experiences the first mobile wrong number. Tomorrow's World charts the rise and rise of the computer.